For me moving from Virar to Palava has been a big switch. We moved to Palava in 2015 and since then, I’ve only been in awe of this place and its beauty. We were contemplating shifting to Navi Mumbai keeping in mind our son’s higher education. But, we hadn’t decided on anything concrete, which is when Palava happened. We came across an advertisement for Palava, and we couldn’t resist from visiting their website. The rest, as they say, is history. We visited Palava and were mesmerized on our first visit itself. It’s going to be close to 4 years now and we’re loving it. Everyone here at Palava is one big, happy family, where each one is supportive of the other and it feels like we live in a joint family. I used to be a fitness enthusiast, but time was always an issue for me. As and when I used to watch my son Aditya play badminton, I also developed an urge to take up this sport. I started playing badminton in order to stay fit, and I’ve come across people, who have inspired me and supported me every step of the way. I have competed against great opponents who have taught me a lot and helped improve my game, irrespective of winning or losing. One of the most unforgettable moments of my life would have to be the time when I played alongside my son for a mixed doubles match and the best part was when we won as a team. I have practiced and won every doubles match conducted since 2015, including a doubles winner in Palaso’s first edition. 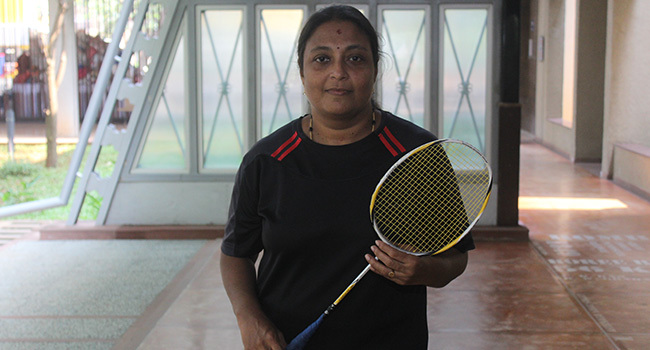 Now, Mita and I are training hard to compete in badminton tournaments outside Palava. #PalavaMakesMeMore excited regarding what the future holds in terms of my passion for Badminton.